Knowing your date of birth will allow us calculate what you should have been paid more accurately. If you are an apprentice you may only be entitled to the lower apprentice rate of pay. This will depend on your age and how long you have been an apprentice. Are you in any of the following groups? not a member of your employers family, but someone who lives in your employer’s home, shares in the family’s life and leisure activities and is not charged rent or for meals? on an education work placement or work experience? on a government employment programme, e.g. the Work Programme, a government pre-apprenticeship scheme, or a Jobcentre Plus Work trial? on an EU programme: Leonardo da Vinci, Youth in Action, Erasmus, Comenius? How often were you paid? Monthly The National Minimum Wage is considered in blocks of time, called pay reference periods. What your pay reference period is depends on how often you are paid (but will never be longer than a month). This is important, because the NMW is not a right to be paid at least the NMW rate for each and every hour you work. Instead, it is a right to be paid at least an average of the NMW rate, once all the hours worked during a pay reference period and all the pay received in relation to that period is taken into account. This means that you can be paid below the NMW rate for some hours, but still be paid above the NMW when you look at the whole pay reference period. It also means that you may be paid below the NMW in one pay reference period, but above it in another — depending on exactly what hours you work and how you are paid. For example, an employee who worked 160 hours in December at a rate of £7.50 an hour, but also received a Christmas bonus of £100 would have been paid an average rate of £8.13. Therefore, in December, they were paid more than the NMW. But, if they worked the same hours for the same pay in January, they would have been paid an average rate of £.750 an hour; below the NMW rate. Similarly, an employee who is paid £8.50 an hour, but regularly works unpaid overtime, cannot claim an extra £7.83 for each hour of overtime worked. But, depending on how much unpaid overtime they did in a particular pay reference period, it might have dragged their average rate of pay below the NMW rate — meaning they were entitled to be paid more. * For example, if you work Monday to Friday and are paid every Monday for the previous week, your last pay reference period ended last Friday. If you are paid monthly in arrears at the end of each month, it was the last day of last month. 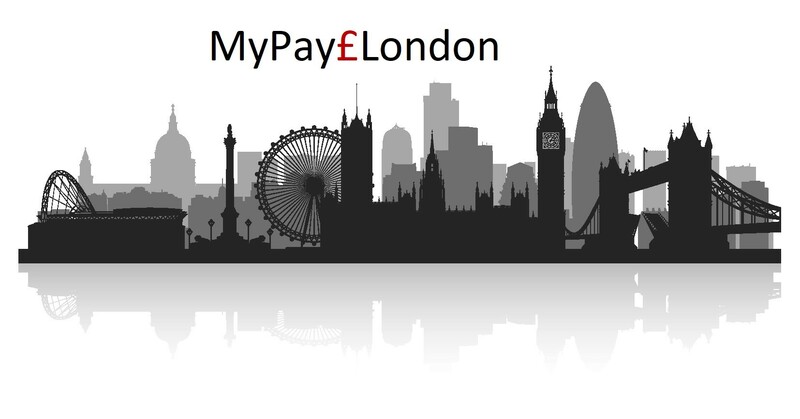 What pay reference period that you are concerned you didn't receive NMW for? If you are concerned about multiple pay reference period, pick the one you would like to consider first. How many hours did you work in this pay period? All hours that you were at work, working, should be counted. Travel time while you’re at work, for example travelling between one site and another should also be counted. Travel to and from your normal place of work should not. If you do on call work or sleep at your place of work, you should include any hours that you are awake and directly working for your employer. Do not include hours where you are present at work, but not actively working. Making this distinction can be complicated and difficult, so if you are unsure you may want to seek further advice. This is also an area of law that has changed recently, following a decision by the Court of Appeal in a case called Mencap v Tomlinson-Blake. That decision may be challenged in the Supreme Court, which might change the law again. If you do a significant amount of on call work you may want to seek further legal advice. Do you wish to add additional hours? Yes No I have already included these - I need to revise my work hours On call work and sleeping at your place at work can create complicated issues in relation to the National Minimum Wage. You may wish to obtain more advice. But, in general, any time that you actually working, for example, because you have been called or woken to deal with a work situation or task, will count as time worked for these purposes. However, time at the work place, but not physically performing tasks or even asleep, may also count if your availability or presence amounts to you carrying out your duties. For example, a nurse who sleeps in the next room to an elderly and very vulnerable patient, in order to be immediately available if they awake confused, is probably working throughout that night. A pub landlord who is provided with a room over the pub is not working through the night (unless there are exceptional and highly unusual circumstances). How many additional hours did you work during this period? On call work and sleeping at your place at work can create complicated issues in relation to the National Minimum Wage. You may wish to obtain more advice. How much were you paid in relation to this pay reference period? £ Although this might seem like a simple question, it can be a little complicated. This is because people are often paid in relation to one pay reference period during a different pay reference period. It is very common, for example, to be paid immediately after a pay reference period ends, i.e. in the next pay reference period. Such payments may well count towards the earlier pay reference period, even though they are received in a later one. At the same time, if pay is delayed too long, it will no longer count in relation to the pay reference period during which the work was done, although it will count towards the pay reference period during which is was received. Note that all of these amounts should be gross, i.e. before tax is deducted. You should not include any expenses your employer has reimbursed you. Adam is paid £1,500 gross every month, on the last calendar date in the month. He is looking at the pay reference period 1st January to 31st January 2018. He received £1,500 on 31st January, which was in relation to the work he did the same month. He did not receive any other money during that pay reference period and the money he received in the next pay reference period (1st February to 28th February) wasn’t related to his work during 1st January to 31st January. Therefore, he was paid £1,500 in relation to the pay reference period 1st January to 31st January 2018. Bill is also paid £1,500 gross every month, but he is paid on the first calendar date of the next month. He is also looking at the pay reference period 1st January to 31st January 2018. Bill was paid £1,500 gross on the 1st January. But this was in relation to the work he did in December 2017, so it is not counted here. He was then paid £1,500 on the 1st February, which did relate to his work in January, so it is counted here. Therefore, he was also paid £1,500 in relation to the pay reference period 1st January to 31st January 2018. Caroline should be paid £500 every week on Friday. She also gets a bonus of £50 if she hits her performance targets. This is paid a week in arrears. She is looking at the third week in January 2018 (13th to the 19th January). Caroline was paid £500 on Friday 19th. Since this related to the work done in the same week, this is include in the pay for this pay reference period. She was also paid £50 on Friday the 19th, in relation to her good performance during the week before. This is not counted, because it relates to the pay reference period immediately before this one and will form part of that period’s pay. However, Caroline also performed well in this week and so received another payment of £50 on Friday 26th January. This will count towards the pay for the relevant pay period. Finally, Caroline had been having a long running argument with her boss about overtime she did in the last week of September 2017. This was finally sorted out and she got a payment of £100 gross on Thursday 18th January. Although this payment related to work she did in the pay reference period 23rd September to 29th September 2017, too much time has passed for it to be included in the figure for that pay reference period. It will therefore count towards her pay for 13th to the 19th January. Has there been a deduction for payment of a loan or overpayment of pay in relation to this pay reference period? You have told us that you were paid £P1 in relation to this pay period. If there has been a deduction from your pay before that figure in order to repay a loan or to repay a previous overpayment of your pay, this will need to be included in the final figure for your pay. In effect, you have received the benefit of this money, because it has reduced your loan or the amount you owe your employer because of the overpayment, even though you have not received the money directly. Do you receive an enhanced hourly rate for working at a particular time, for example evening overtime or working weekends? Yes No Enhanced hourly rates do not count for the purposes of payments for the national minimum wage. For example, an employee who is paid £7 an hour, but £9 on weekends, will be considered as if they are paid £7 an hour at the weekend. Note that this is different to an employee who does different work at different times. For example, someone who is working as a general labourer during the week at £7 and a plasterer at the weekends at £9 is not receiving an enhanced rate — they are doing two different jobs at two different rates. How many hours did you work at an enhanced hourly rate between P1? Your employer is allowed to charge for your accommodation if that is part of your agreement. But when looking at the minimum wage there is a fixed accommodation offset, currently £P1 per day. If you have been charged more than this the difference will be deducted from the pay you are considered to have received. For example, Mohammed works for 7 hours a day at £8 per hour. His employer provides accommodation and charges him £20 a day for this. In cash terms, Mohammed is being paid £36 a day. His employer might well argue that the value of his accommodation is much more than £20. When we look at the National Minimum Wage, however, Mohammed is considered to be paid £36 plus £P1 (fixed accommodation offset) or £43 total. Since he is working 7 hours a day, this is an average of £6.14 — significantly below the NMW.